High-rise home removals without the hassle of lifts, narrow hallways or carparks. When it can’t fit through the door, let us deliver your fridge or new furniture over the balcony. 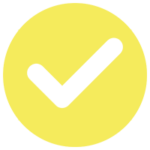 We provide a safe and quick transfer of your building supplies. We simplify deliveries to your townhouse, unit, multi-storey home or highrise apartment. 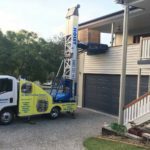 The OzHoist hoist lift is capable of lifting construction and building supplies or can speed up your home move. Our crane hoist lift service can cut down move time for two-storey homes, townhomes or apartment buildings up to 9 floors. 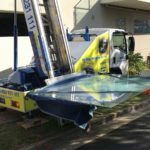 We quickly and safely solve the issue of access by directly delivering or removing your possession from your balcony, window or rooftop (for building sites). When access is a problem, we can eliminate the need to manoeuvre awkward, heavy items. Ozhoist lifting services takes the hassle and impossibility out of moving big items up multiple story buildings and can complete your big move much faster. 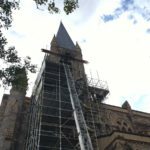 Our professional hoist lift can quickly transfer your large furniture or building materials from the street to a window, balcony or roof area without the need for scaffolds or a large crane on site. 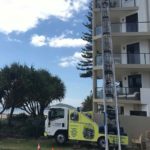 As well as supplying our hoisting truck with a friendly, trained operator, we ensure you get your furniture or building materials safely over your balcony, onto your roof or through your window opening. Needing a lounge, dining table, fridge, maybe some building materials moved up or down floors of a building in Brisbane, the Gold Coast or the Sunshine Coast? 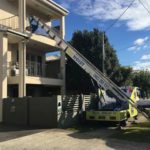 At OzHoist we help both businesses and families lift a variety of bulky items up and over balconies and verandahs (and out and down too!). We specialise in moving heavy furniture and building materials using balcony our truck mounted platform hoist lift. We can help you with your personal or business hoisting needs.